The Vikings senior was selected 6A Player of the Year, while Glencoe's Molina-Sanchez heads list of Hillsboro honorees. The Forest Grove boys' soccer team lost a heartbreaking state semifinal game to Jesuit this past season, one in which the Vikings were defeated 2-1 in overtime. 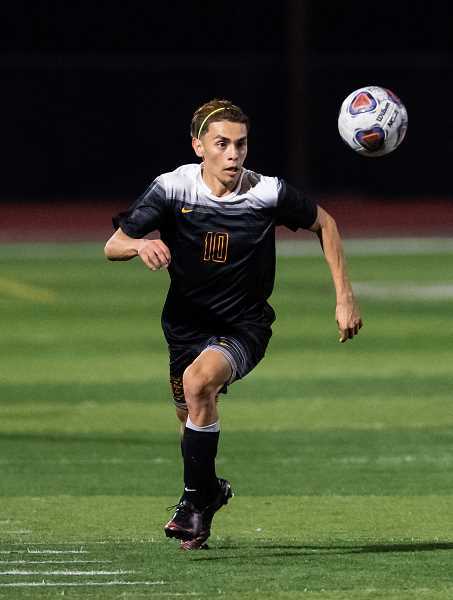 But while not ending in the manner he would've preferred, Forest Grove's Oscar Macias was recently rewarded with a nice consolation prize: being named the Oregon 6A Boys State Soccer Player of the Year. The senior was one of five boys and six Forest Grove- and Hillsboro-area girls honored with All-State selections. Macias, who was also selected as the Pacific Conference Player of the Year, was one of a number of key contributors that led the Vikings to a 13-4-1 overall record, then on a historic four-game postseason run that saw Forest Grove defeat South Medford, Gresham and Aloha before an overtime loss to the eventual 6A state champion Crusaders. Macias was joined on the list of 6A All-State honorees by his Vikings teammate, Ivan Torres. The senior midfielder was one of four local second-team selections, including Glencoe senior forward Neil Zimmerly, along with Liberty senior midfielder Eduardo Flores Garcia and fellow Falcons junior forward Rudy Salinas Solorio. Hillsboro High School's Chance Saechao was also a second-team honoree at the 5A classification. 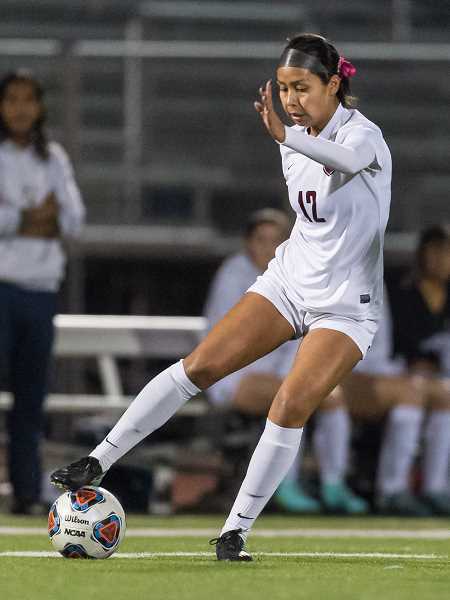 On the girls side, Glencoe's Celeste Molina Sanchez was a 6A first-team selection for the second consecutive year, after winning the state's Player of the Year honor following the 2017 season, in which the Tide made it all the way to the state semifinal. In addition, two of Molina-Sanchez' teammates, seniors Michaela Kirschten and Sarah Mauk, were honored as second team selections, while Hillsboro sophomore Taliya Miyama and Banks senior Marissa Dotson were also second-team honorees as part of the 5A and 4A classifications.